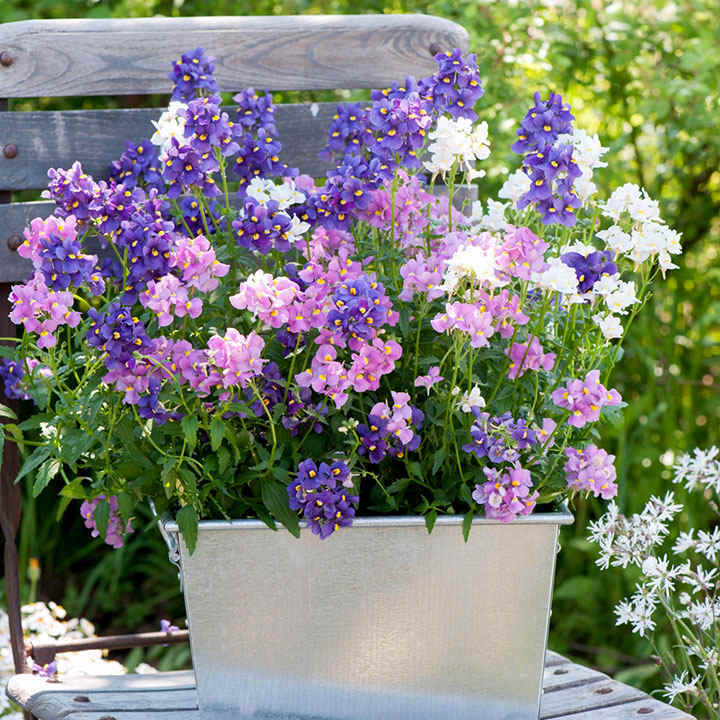 A lovely mix of pastel coloured flowers with a sweet scent are produced all summer long on this lovely free flowering mix and often into early autumn. 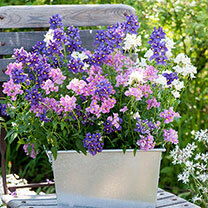 Ideal for beds and containers this compact growing form will remain neat and tidy while flowering for many months. Flowers June-September. Height 30-40cm (12-16"). Supplied in a 2 litre pot. Ideal for beds and borders, patio pots and containers, hanging baskets. Scented. Prefers partial shade.